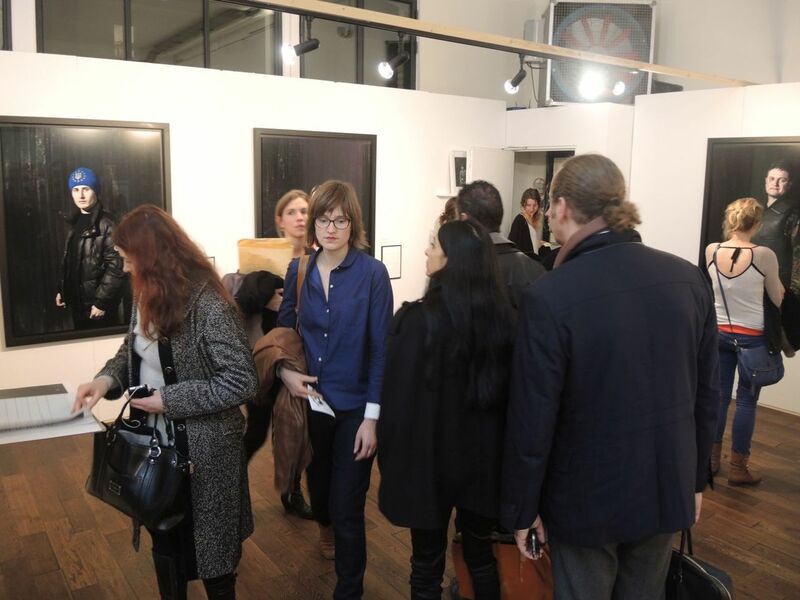 PHOTO OFF Art Fair took place from 13-16 November 2014 at Paris La Bellevilloise, an independent cultural institution, responsible for innovative art and cultural projects. PHOTO OFF Art Director Charlotte Flossaut tells us "VIVID, and expresses its intention to put the light on the committed photographical work, one that is evolving and highly political", is this year’s motto. 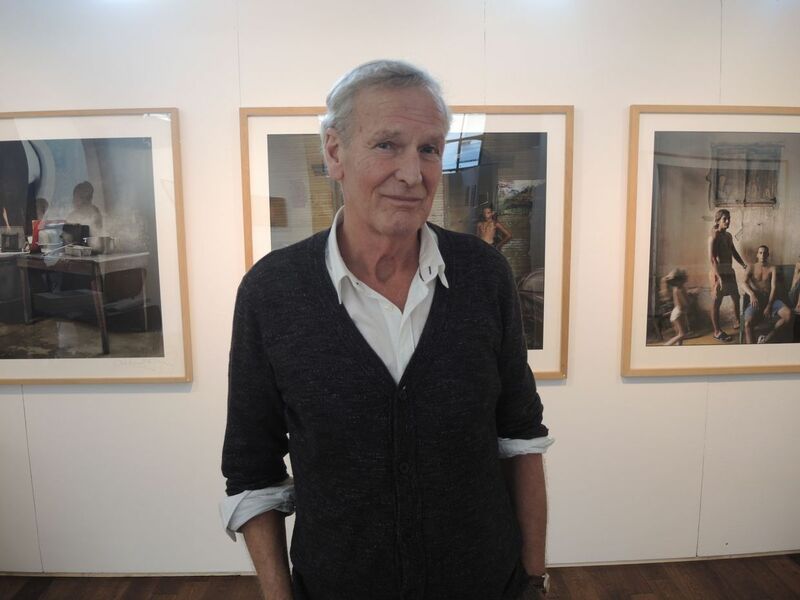 Japanese photographer Keïïchi Tahara was the patron of the fifth edition of the salon in 2014. PHOTO OFF sees itself as a platform for young photographers, who could enter their work to be considered for the Deuxième Regard" section, alongside galleries who travelled from close and afar such as Japan and Poland. Our eye was particularly drawn to Catherine Armendariz' spatial work "Nature Inattendue" – a flower made of industrial diggers – as well as the touching street children project by Della Roca, presented by Nicolas Levy and his gallery Le Joker, and most beautiful performance of the weekend just in time for the charming photographer’s private view. GoSee presents a selection of snaps from the opening. This year in late October the first ever GoSee Awards were presented in an XL mood board exhibition as part of the UPDATE Salon in Berlin. Photographers, illustrators, stylists and other artists entered their work free of charge into 12 competition categories. Around 200 photographers were in the finale, their work scrutinised by around 100 judges in advertising, art, publishing and established direct clients. GoSee created an exhibition of 20 finalists from each category with one series each. Around 1,000 images were hung up for the jury in all 12 categories. No mean feat, considering the many formats, range of prints, last-minute entries… The jury selection at the event was, however, carried out with far more ease, works were awarded with Gold, Silver, Bronze and Merits. In addition we also had the GoSee Public Vote for each category. A small selection of GoSeeAWARDS winners was presented as part of PHOTO OFF in Paris – promoting the recently launched GoSeeAwards.com site with all 12 x 20 winners. We will present all finalists on the site for one year. We hope this will provide inspiration for people looking for artists to work with in editorial, transportation, stills, illustration or one of many other categories. It was a true pleasure to have very many wonderful conversations in Paris and to make new contacts too. We had lots of fun at the opening, as well as at various champagne VIP events, with our stand neighbours, other exhibitors and of course the many interesting visitors we got to meet really made the presentation of GOSEEAWARDS.COM a truly unforgettable experience. We are already looking forward to the next stop. 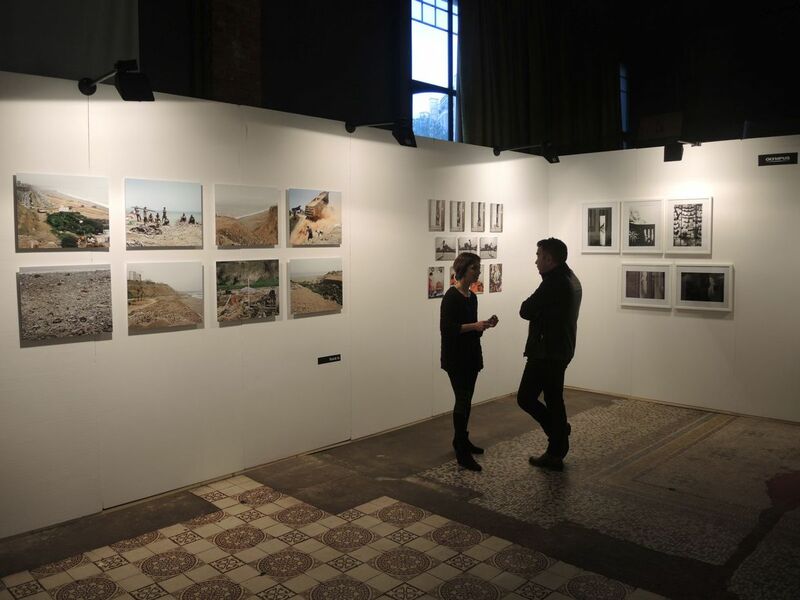 OLYMPUS France supports new photographic talent and presented two stands worth of up and coming graduates of École Nationale Supérieure de la Photographie Arles. Several of the photographers were there and happy to chat with us. We spoke with Jonathan Lang from OlympusFRA about the initiative: "Olympus is involved in a unique way in Imaging business: in science, research, healthcare, industry and of course photography. We work deeply since years in order to raise emerging talents within artistic photography. Supporting young photographers is one of the basics of our sponsorship policy. This is why Olympus has a close partnership with the Photography National School. This support does not stop once the studying programme ends, we continue to follow closely these young artists. We do our outmost in order to maintain this support over time. We want our commitment in photography to be full of substance, we want to share our expertise and stimulate creation. It's very important for us to support artists in their success but also when they face difficulties. Sometimes through micro sponsoring: paying rent, a flight ticket, or maybe just by being there to talk and to ensure them that our confidence is still strong. This is the way Olympus is involved: with strength and loyalty. At Photo Off we have presented seven artists, all coming from Arles' National School of Photography. Some of them have just graduated, others graduated years ago. Our objective was to promote the work of these emerging photographers. These artists have already participated in several exhibitions supported by Olympus, mainly during the photo festival 'Les Rencontres d'Arles'." The PHOTO OFF organisers also seek to support young talents and emerging artists, they selected a photograph by Mouna Saboni for the cover of their event catalogue. "Olympus is one of the only industrial name to be so sincerely and fervently supportive with young photographers they believe in. For PHOTO OFF it was a wonderful opportunity to share a common appreciation on a particular type of photography that we favour, the one that opens the consciousness of the look", PHOTO OFF Art Director Charlotte Flossaut tells GoSee. Dutch documentary and portrait photographer Robert van der Hilst, born 1940 in Amsterdam, spent the greatest part of his life travelling through Mexico, Cuba, China and Japan. He recently stopped off at PHOTO OFF in Paris. He arrived with luggage containing a large format exhibition and two books, which he presented to us at the beautiful venue. 'Chinese Interiors', presented at Gallimard Editions, shows images of a journey that began in 2004 and took him to various locations in China, from isolated villages to over-populated cities. Chinese publishers Shanghai Culture Publishing House were so impressed by 'Chinese Interiors' published in 2010, that they published ‘Timeless World' a compendium of Hilst’s beautiful works spanning his 40-year body of work. Our eye was drawn to the many grey shades he uses to portray the world. “I am Dutch and have always been influenced by Dutch painters, particularly Vermeer. I am especially drawn to Grey walls and muted colours”, says the rather smart photographer. An overview for you on GoSee. Majdan Nesaleschnosti is the central square of Kiev, capital of Ukraine and became the centre of the country’s protest movement last year. On 21 November 2013 the first demonstrations began, escalating into enduring violence and war. In Febrary French documentary photographer Émeric Lhuisset (1983) travelled to Kiev, where he shot portraits of protestors and asked each of them two questions, asking them to write the answers: “What would you like to see happening now?" and "What do you think will happen?". In "Maydan – Hundred Portraits" Émeric Lhuisset shows us the faces of the revolution. The protests united thousands of Ukrainians who were fighting against the corruption of their government and the unpopular influence of new Russia by hitting the streets to demonstrate. The situation escalated when protestors were shot by their own authorities and more than 100 people were killed. This event became known as the "Heavenly Hundred". Photographs such as those by Émeric Lhuisset ensure that this won’t be forgotten any time soon. In the introduction to the book French art critic Adrien Goetz writes: “The strength of these images goes with the force of these words, scribbled by each, but in the name of all”. We have a short video browse of the book, as well as several snaps of the exhibition, on show at PHOTO OFF Paris. "Defend information as a mode of expression" is the hard-hitting motto of MYOP agency founded by photographers in 2005, representing photo journalists working for French and international news magazines. "MYOP goes beyond being a mere broadcasting agency, it is a place where each author is fully aware of the impact and informative power of an image." In keeping with this maxim selected projects were presented as an exhibition, alongside a book signing with the photographers, including Guillaume Binet with "L’Amérique des écrivains", "Hobbledehoy" by Ed Alcock and Pierre Hybre with "French Kicks". GoSee presents an overview. 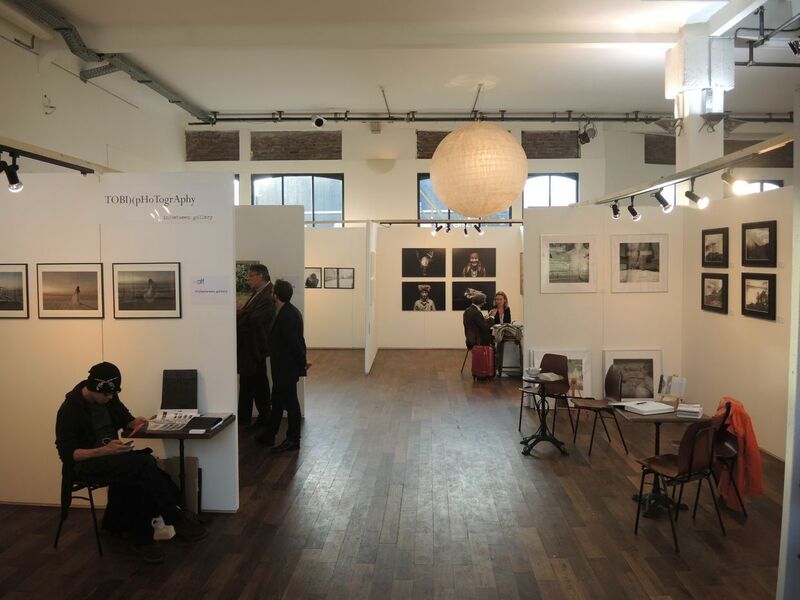 PHOTO OFF Art Fair committed and upcoming photography in Paris presents galleries, curators of various photo festivals, as well as journalists who review portfolios by photographers who registered in advance. In addition the experts nominate a winner for the "COUP DE CŒUR". In the coming year one photographer can present their work as part of "Deuxième Regard" at PHOTO OFF. The "COUP DE CŒUR" jury includes PHOTO OFF Director Eric Fantou and Art Director Charlotte Flossaut, Agata Stoinska & Monika Chmilarz (Blow Magazine) Arnaud Liège (Impact Magazine), Ivane Thieullent (VOZ'Galerie), Isabelle Lefort (Galerie Mondapart), Florence Provost (Galerie Exit Art Contemporain) as well as Valérie Bacques (Green Flowers Art Gallery). We will find out what photographer and project was the most popular in the coming year in the sixth edition of PHOTO OFF.